NGJeans (New Gypsy Jeans) in Mohan Singh Place might be small size-wise, but their skills and experience span far and wide. They specialise in customising… umm, everything for men! 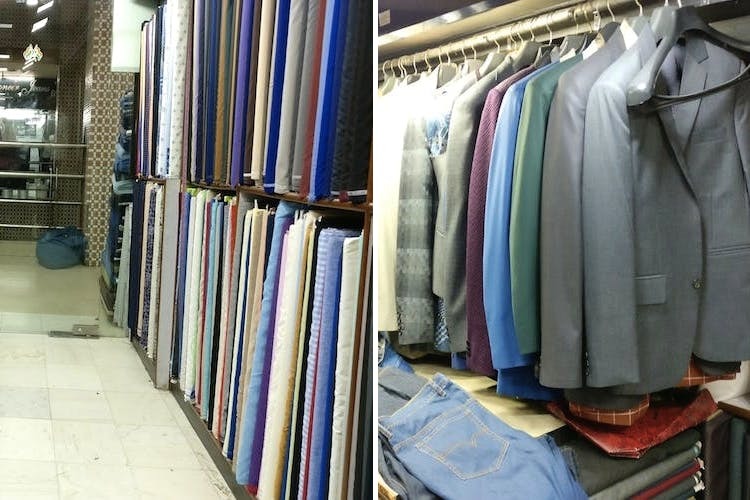 They customise suits, jeans, shirts, kurtas, trousers or anything else you can think of (a kilt, perhaps?). They’ve been around since 1968, and have conquered the custom clothing game. They stock all kinds of fabrics, too. If that’s not enough, you can source your own crazy fabric and print, bring it here, and watch it get converted into a clothing masterpiece. Your only limit is your imagination here. Banana print suit, anyone? Their expertise in making clothes with a perfect fit is unparalleled, so maybe it’s time you got rid of those baggy tees and droopy pants. These guys are usually packed with orders, so it might take more time than expected to get yours. We recommend that you order well in advance if it's for a particular occasion. The customisations here come at pocket-friendly prices–starting at INR 400 for a shirt and INR 500 for trousers. Also, look for Irfan when you get there–he'll help you out with anything you need, he's super helpful!